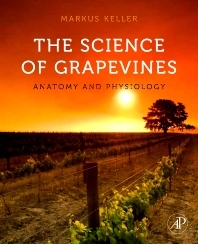 Written by a recognized expert and based on his experience in teaching the subject to students with a variety of educational backgrounds, The Science of Grapevines: Anatomy and Physiology is the only book to comprehensively explore the physiology of the grapevine as it occurs around the world. While other books have focused on the vines of specific regions, the globalization of the wine industry and the resulting increase of lands around the world being used for grapevine cultivation have left a gap in information. This book addresses not only the specific issues and concerns of grapevines from regions around the world, but includes important emerging topics such as global climate change, water relations, temperature effect and more.